1. A support group for bereaved parents. My husband Joe and I founded The Compassionate Friends of Rockville Centre (NY), holding our first meeting welcoming 36 bereaved parents on Oct. 9, 1987 at a local college, when there was nothing out there for bereaved parents. 2. Grief Education. In those early days, when Joe and I as Chapter Leaders, were as newly bereaved as the rest of the group, “the blind leading the blind” as they would say,” we listened to audio cassettes on topics like Anger, Guilt, Communicating with Our Spouse, Handling the Holidays, Dealing with Birthdays and Anniversaries, Sudden Death, Long Term Illness, etc. and then had a discussion. Now, knowing those topics by heart, I lead a topic of discussion each month with many of us contributing our thoughts and experiences. I refer to our members as “the experts” because they are the ones living the challenge of building a new life without their child. 3. Lending Library. 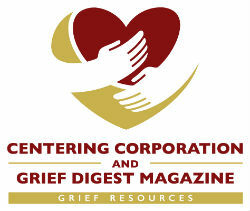 Using the monies collected in our meeting basket, we began stocking our library with the latest grief books and continue to do so, establishing a vast supply of helpful books for our members, a lifeline for each of us. 4. Permanent Home at Molloy College. Moving from bigger room to bigger room as our membership expanded, we are now happily ensconced in the Hays Theatre meeting room welcoming 65-70 members each month and grateful for a permanent safe haven that is comfortable, centrally located, and easy to find, with lots of parking. 5. Fund Raising Helpers. Some of our members were able to donate items from their businesses that we could offer for sale, like cookies, sweaters, jewelry, toys, in addition to the homemade wreaths we lovingly created, to spark our treasury to cover expenses in those early days while expanding services that we could offer. 6. Dependable, Reliable Workers. Members jumped into to help setting up, making coffee, bringing cake and cookies, helping with the library, mailings and newsletter, luncheons, special events and maintaining our TCF of RVC website, earning our chapter’s outstanding reputation, recognized for its outreach, newsletter and large meeting attendance of all 650 U.S. TCF chapters. 7. Memorial Garden. In 1992, we established our TCF Memorial Garden, providing every tree, shrub and flower around the brand new Casey building at Molloy College and over the years installed eight brass plaques with 200 children’s names and dates, creating a sacred place to remember our children, which we spruce up Spring and Fall with scheduled “planting” dates for our members, complete with bagels and coffee. 8. Getting Modern. Keeping up with technology, going from ditto machine to computers, email, and having our very own copy machine and website enabled us to reach more families, more times, with more information of events. 9. Spreading Our Wings. Attending local and national bereavement conferences, going together to Philadelphia, Chicago, New Orleans, Nashville and Boston allowed us to meet and make more friends and learn even more about the Grief Process. 10. Adult Sibling Group. In 1998, we added a group to offer help for our siblings, ages 18 and over, led by Theresa (Della Sala) Pellegrino, a credentialed counselor and bereaved sibling herself, bringing siblings together once a month for a meeting, same night, same time, same building, but different room from the parents. 11. Bringing Cheer. Rejoicing for each other’s happy events, engagements, weddings, christenings, birthdays, new grandchild, awards, publication of books and articles; supporting our friends’ foundations, scholarships and fundraising events, or simply sending cards and prayers for illnesses, operations, hospitalizations, and deaths, we are “a family” united, supporting each other in good times and bad. 12. Generous Memorial Donations and Monthly Love Gifts. Large donations from Eric Goldstein’s Bike Ride Across the U.S. in memory of his brother Jeffrey, Leo and Helga Katz’s donation of our very own Xerox Copy Center in memory of their son Steve’s 10th anniversary and as a designated recipient of the Angelina Rivellese Foundation, in addition to our members’ generous monthly Love Gifts, enable us to pay all our bills, expand our services to the newly bereaved, update our library, provide a monthly newsletter, offer special programs and add all the little details that touch our hearts. 13. Giving Back. Reaching out to others knowing what a difference it makes, many of our members volunteered each year at our local diocesan bereavement conference which I chaired (2001-2010), helping with registration, manning the Angel Boutique and presenting workshops, generously “giving back” grateful for what they received. 14. Inspirational Speakers. Reinforcing our choice to live, guests like “Fr. Tom” Hartman each year at our December Candle Lighting, Alan Pedersen serenading us with his comforting words and music, and George Anderson and John Edward offering their messages of hope and connection with our loved ones, add another dimension to our healing. 15. Help for the Holidays. Our Annual Candle Lighting Ceremony at our December meeting each year offers us a time to include our beloved children in a special way, including them in our holidays, surrounded by people who understand and support us. 16. Making Lifetime Friendships. Meeting and deeply connecting with other bereaved parents becomes a treasured lifeline for us, a very strong, unique bonding. 17. Sharing Coping Skills. Listening to and learning from others at our meetings, we discover that we can have a meaningful life again when we do our grief work. 18. Practicing Gratitude. Rather than focusing on what is lacking, we celebrate our child’s life and learn to focus on what we have and use it wisely, bringing us a sense of peace. 19. Reinvesting Our Love. Doing good things to help others, whether it is helping a cause, establishing a scholarship or simply making a phone call to another bereaved parent, we spread that special love we have for our child rather than wasting it. 20. Providing Leadership. Eager to share what we have learned, some members have opened new support groups or replaced retiring leaders of established groups, offering help in a variety of locations: Babylon, Port Jefferson, Medford, Manhasset , Syosset, Massapequa and Flushing, bringing more help to the communities of Long island. 21. Welcoming the Newly Bereaved. 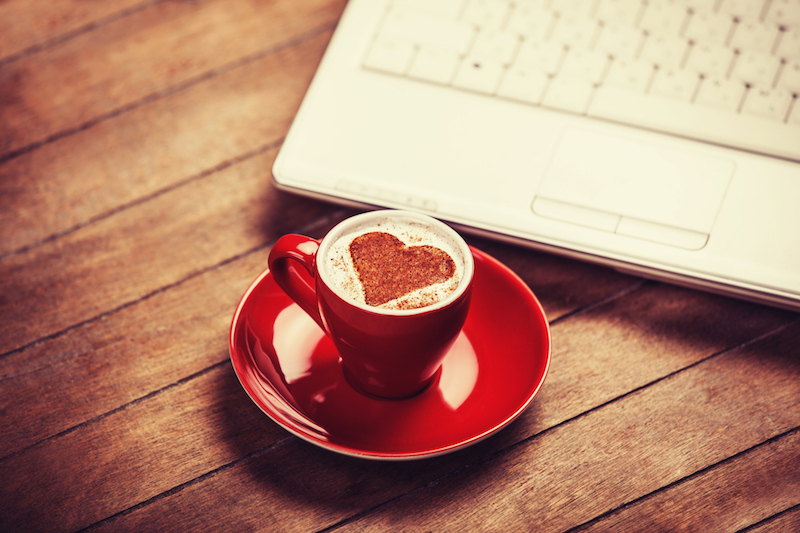 Sending newsletters to the newly bereaved is our way of inviting them to be part of our group, letting them know we are here to help them, and gifting them with a “new member packet” when they arrive, all able to be done through the generosity of our members. 22. Teamwork. When you donate your time to our chapter, you take ownership of the group by making a commitment and that is what makes our chapter so large, having so many bereaved parents work together as a team in memory of their children. Without even realizing it, they are helping themselves too. Luckily, we are blessed to have our own “Group Nurturer,” a bereaved mom who takes many hurting souls under her wing. 23. Birthday Stories. Celebrating our child’s birthday at our meetings is a joy giving us a chance “to tell the world about our child,” a favorite part of every meeting, even enhanced by the cake and other treats brought for the occasion, including special gifts to be part of our raffle as we choose a child’s name from the basket for the lucky parent winner. 24. Companions. We do not have to walk alone, we have found dear friends who walk with us on our grief journey making it much easier and less scary as we choose to LIVE. 25. Always Remembered. The best gift is knowing our children are never erased or forgotten, that we can talk about them and share them to our heart’s content. I bet you never realized how many Gifts can embrace you at a support group!